Please come join us for a fun afternoon of ice skating! All proceeds will go to Bridging Hands Camps. Please bring this voucher with you so we can get credit! 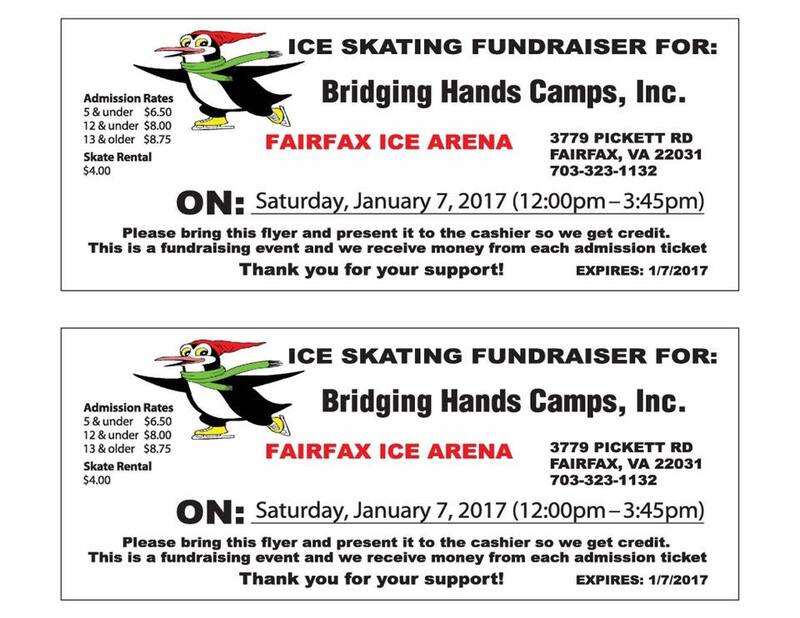 Saturday, Jan. 7th from 12:00 to 3:45 pm at Fairfax Ice Arena in Fairfax, VA.